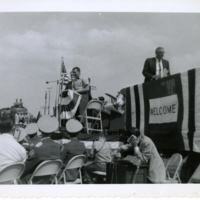 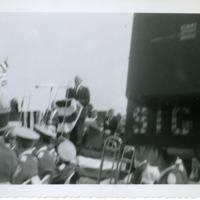 This black and white image shows a blurred man standing behind a podium and microphone, speaking to the crowds gathered for the Tweetsie Homecoming Celebration in Hickory, NC. 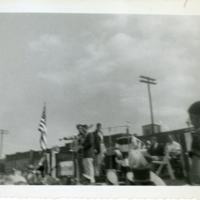 The Appalachian High School band is visible in the foreground. 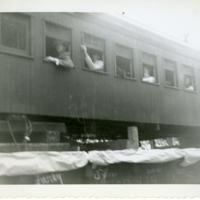 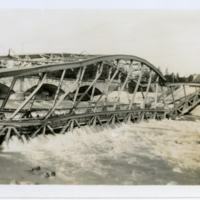 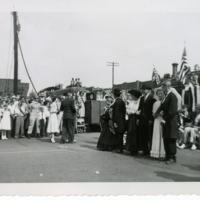 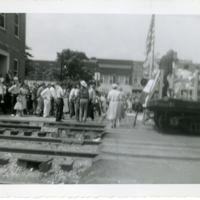 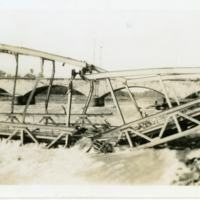 This black and white image is a blurred photograph of the Tweetsie car arriving in Hickory(?). 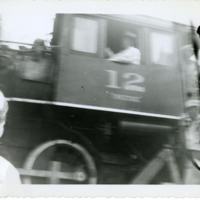 The painted carriage is labeled "Tweetsie" in large lettering along its side. 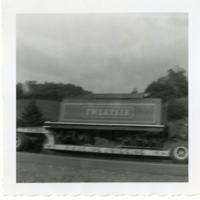 Rolling hills and trees are visible behind the train car.